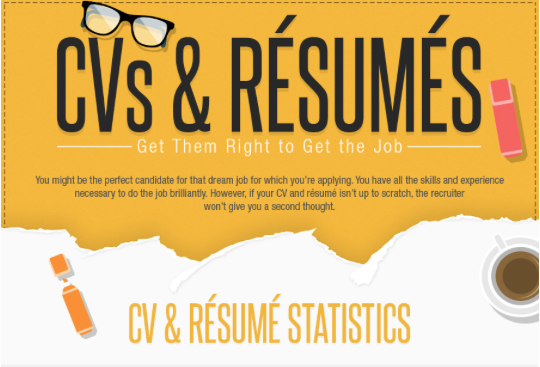 Polish Your CV Using These Great Tips #Infographic - Your journey to a new career. Having a CV that stands out is a crucial part of being considered for a job. There are some basic steps that can be taken to help increase the odds of getting farther in the selection process. These steps aren’t complicated, but taking a few minutes to review your resume can make a big difference. Knowing the statistical data behind the application process helps you to tailor your CV for the best results. It can also help to hear the most likely reasons that an application is denied. Sometimes it’s not what you put, but what you don’t that helps to make your CV stand out. Success comes through being able to stand back and evaluate your resume in many different ways. If you are ready to review your resume, then this Infographic is a great read. Clean up the fluff and create the best resume you can. These key highlights will get that process going in the right direction and help you put a presentable CV out there.